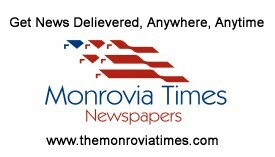 MONROVIA: Days after the publication of a FrontPage Africa Newspaper story which unearthed an alleged kickbacks and payment of 180k debt which resulted from the Taylor’s Era, some public officials have begun contradicting the government’s stance on the matter. FrontPage Africa in its Monday December 17, 2018 edition lead story revealed elements of corruption, fiscal mismanagement, kickbacks within the government’s first six years rule. The Newspaper investigative report indicated that nearly all payments vouchers in its possession originates from the Ministry of State to the Ministry of Finance, which the paper noted that the government of Liberia issued a payment in the tone of 180k to none-existing US based company called Rock Town and Tool & Equipment Corporation of New York Company for a case won in 2016, through the signature of the Minister of Finance, Samuel Tweah. The paper investigation reveals that the company has been inactive since 2003 when the country had just return from the civil war and led by Charles Taylor. The Ministry of Finance and Development Planning Monday afternoon issued a press statement debunking the FPA’s publication as false and misleading with its intent to raise flames in the public glare. The Newspaper alleged that the payment to Rock Town was made in Liberia due to the company’s account closure and its inactive state in New York. According to Deputy Finance Minister Augustine Flomo, contrary to the Newspaper story of authorizing payments to Rock Town, the Ministry is currently processing payments and is yet to release its payment to the company. Min. Flomo explained that at no time any voucher or payment originates from the Minister of State or the Minister of Finance but it goes through a flow of the Domestic Debt Service with several processes. He added that the legal department of the Finance Ministry also provides Legal Opinion on all payments including domestic debts to determine the legal basis for such payment. FrontPage in its publication disclosed that due to the loopholes, a senior manager told the FPA that the government should have sought an appeal before agreeing to pay any money to the company. Responding further, Minister Flomo said that the current government cannot take an appeal of a case that was adjudicated in 2016 and final judgment made thereafter. “According to our records, after the rendition of the judgment, no further action was taken by the then government of Liberia to prefect the appeal , as such, the claim automatically became a legal debt of the GOL. Min Flomo noted that government is continuity point and that it is legal and legitimate to honor payment of past debts owed. Contrary to the Finance Ministry assertion of processing payments to Rock Town, Liberia’s Minister of State Nathaniel Mcgill has indicated that he has no knowledge on any payment being made or processed to said company. Min. Mcgill phoned in on a local talk show Monday morning to blast the FPA over alleged corruption allegation and his link to the Rock Town payment. “I have no knowledge of the company in question and president Weah will not allow such payment to an individual company without investigating the company”. Min. Mcgill contradicted the deputy Minister of Finance by saying the Ministry is a credible institution and will not get involved with such payment. “We don’t already have money and the President is saying let’s do roads, then we get up and try to pay people US$180,000? I don’t know the company the man is talking about and I have not even given instruction to the Ministry of Finance. The Minister of Finance is a very credible gentleman that I know and he will not take instruction from me to pay company that does not provide a clean record of debt from the Taylor’s era, he noted. The Minister of State has however threatened the management of FrontPage Africa with a lawsuit upon his return from Ghana on an official mission. “I am not going to comment too much; what I am going to now I am going to get my lawyer involved and other people to file a lawsuit against the FrontPage Africa and if it is proven that I motorized the payment, I’m going to resign from the government but if it is not proven, Rodney Sieh will go to jail because I will not allow people to tarnish my reputation. I work for my reputation.” He stated. Political Pundits believe that the minister threat against the newspaper and the media undermines the menace of freedom of speech and expression in Liberia.